The new Gmail app for iOS had a bug that broke all the notifications and caused users to see an error message when first opening it. Now, the issue is successfully resolved and Gmail is on work to bring the newer version soon. All it happened within hours. However, everyone who has already installed app can continue using it with no issues. 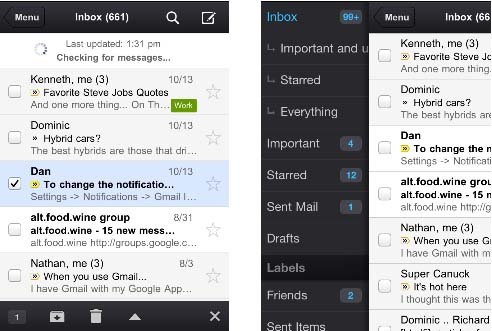 Moreover, Gmail has created a new Gmail app for iPhone, iPad, and iPod touch. Gmail has combined your favorite features from the Gmail mobile web app and iOS into one app so you can be more productive on the go. Therefore, it will be as fast as efficient to bring the full advantages for the touchscreen and the notification capabilities. 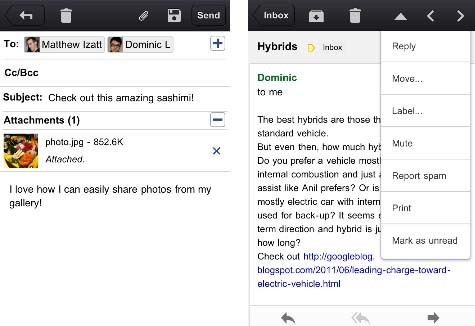 The Gmail app will work on all the devices that run iOS 4+. • You’ll be always alerted to the new messages with push notification and sounds. • You can easily find an email in seconds with search across your entire inbox. • You can have the autocomplete email addresses from your Gmail contacts. You can also select them from your device’s address book. • Now, you can upload photos with a click using the new attachment button in compose view. • You can focus on your important messages first with Priority Inbox. • You can easily and quickly scan countless emails on the same subject with threaded conversations. • Organize your mail by archiving, labelling, starring, deleting and reporting spam. Moreover, the Gmail has optimized for a lighter touch to perform the common actions in it.